You can feel it build within. It has been growing stronger and stronger day on day. 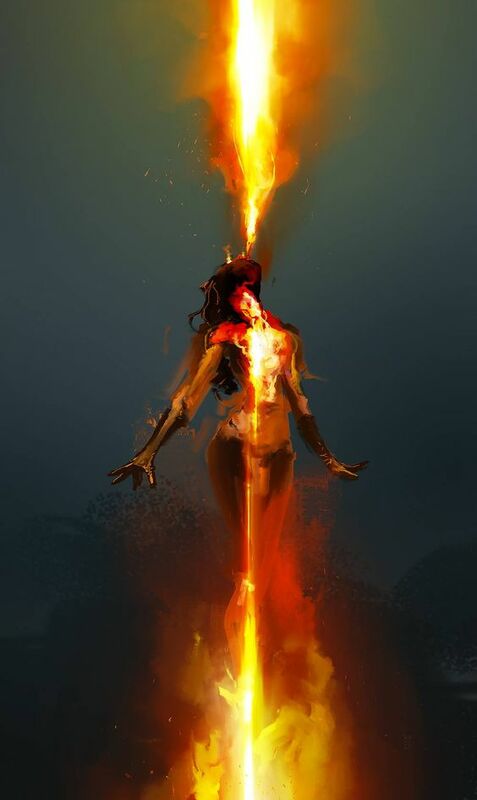 Your reactions have sharpened, your sight cleared, your ability to accept bad behaviour diminished, your tolerance for patience tested, your hunger to maintain clear boundaries deepened, as the fire within strengthens. Yet something is holding you back. Reaction is not the way, nor compensation for the time when the fire was dimly lit; discernment not yet reached, as judgement still clouds your vision; the complexity of your past actions still needs time to heal, so that you can better understand the deeper reasons why you have acted, accepted and colluded with those in your life. As the time nears for you to re-create a new fiery form from within; as you prepare to harness that power of decisiveness and choose to be a more confident, self-assured and independent sOul, the next couple of days will reveal much insight into the scripts and patterns you carry regarding how you handle the creative energy within that can create or destroy, thereby enabling you to set a clearer intention regarding how you wish to direct this fecund, libidinal force through you.